Though typically a genre quickly discredited by most critical circles, 2014 contested horror’s place as a riveting and innovative corner of cinema. It Follows, for example, dissected a trope as old as Jacques Tourneur’s Cat People, an apparent parallel to The Cabin in the Woods a few years prior. As Above, So Below, despite a rough execution, emphasized the lack of limitations a found footage film possesses, perhaps inspiring similar filmmakers to explore uncharted (and maybe literal) depths. Godzilla brought the world’s most titanic beast back into an American spotlight, abruptly brushing the 1998 attempt beneath a regrettable rug. These are my top five or 2014. The viral campaign to conjure this film, spurred by a tangent from Kevin Smith’s SModcast, emphasizes at least a notable desire for unorthodox body horror. Justin Long reminds one of how well eyes can convey distress, and Michael Parks gleefully leads us down a path of relentless trauma. Despite the overt gags appearing notably lackluster, Tusk redefines the rubric of black comedy conceptually. #WalrusYes. Immortal man-eaters need a bit of time to travel, to produce art, and of course, to consume humanity. 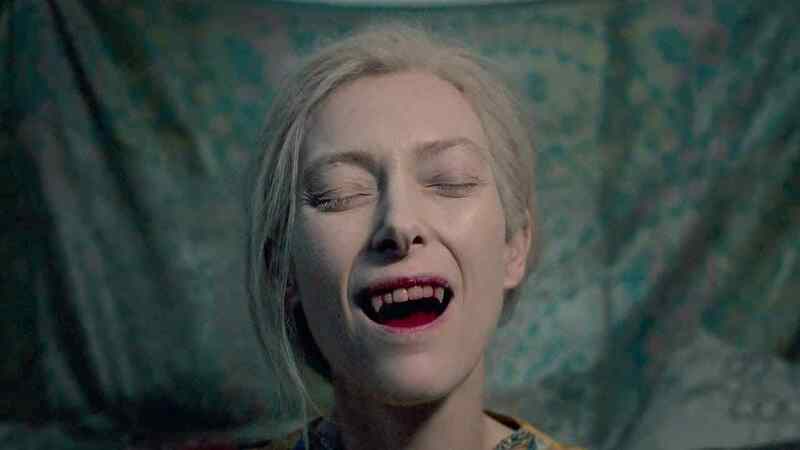 Implementing the makings of an existential drama while still retaining the eeriness brought on by near-cannibalism, Jim Jarmusch’s vampiric tale leaves one enticed by and fearful of the central bloodsuckers. A pleasant soundtrack lulls one into a false sense of security, before quickly reminding us of significantly darker implications. Everlasting life can be a terrible bore. An Australian film from director Jennifer Kent, The Babadook’s subtle release could never illustrate its momentous importance. Spearheaded by a powerful mother-and-son duo and compounded by an active consideration of horror’s steep history, the piece emits signs of an incredibly seasoned filmmaker. Likewise, The Babadook terrifies with minimal on screen violence, penetrating an audience’s psyche and compelling a viewer to the safety of a light switch. An Iranian take on both one of America’s most, recent popular sub-genres and the depravity left by industrialization and urban decay, A Girl Walks, much like Let the Right One in (2008), reminds us of how far behind we may be with vampire flicks. Set in the Los Angeles-inspired “Bad City,” the piece puts forth a narrative of quirky relationship and relentless stalking without over-saturating either. In doing so, the eponymous girl successfully merges vampiric film history with its most recent trends. Hardly any film in the last decade comes close to establishing the disconcerting atmosphere set forth by Jonathan Glazer’s chilling piece. Following Scarlett Johansson as an infiltrative alien masquerading in order to prey upon men, Under the Skin illuminates the trials of an oscillating huntress with a tinge of Kubrick-inspired scoring and cinematography. Under the Skin terrifies primarily with what is unseen, much like the film’s central character. However, a selection of scenes elaborating upon the logistics of the alien’s method of consumption polymerizes beauty and terror in a way in which very few films ever have.